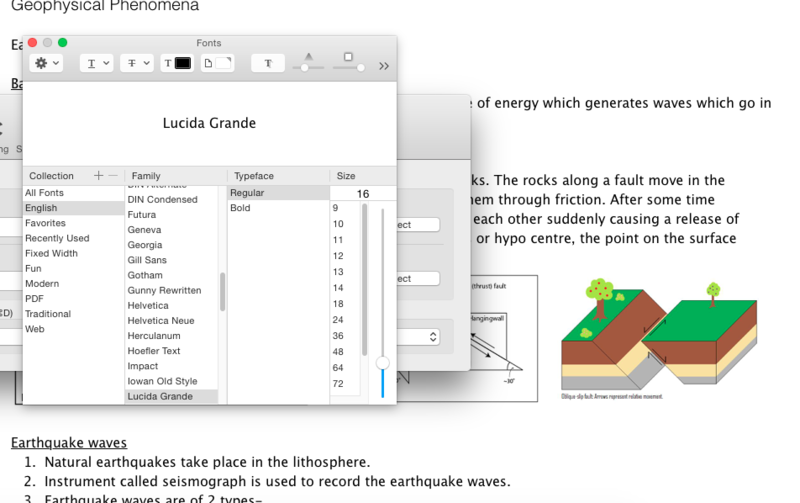 I was just messing around for changing the default font on Evernote v6.0.5 on Yosemite. I clicked on preferences then the formatting tab & then on the note text bar. I was successful in setting it but then I found a new option. The option to change the colour of the font & I guess the background too. The problem is that when I selected the colour of my choice there's no effect whatsoever. I've tried restarting my Mac, restarting evernote but nothing happens & the colours go back to normal after I reopen evernote again. Please check the images attached. Hope you guys could give a solution. I really want to change the BG & font colur. This is so annoying! I want my default font to be another color, but I have to select it and change it on every note? And even if I do that, when I start a new section on the note it goes back to black! I LOVE evernote and tell everyone how great it is, but this is seriously limiting my love. Requesting that default font color change be available. Ironically, I like the grey/tungsten default color that I'm using as a type this. Can't this be a default option in Evernote for MacOS? Please? Indeed Christina, it is not only annoying but also not to understand why such a simple thing that can help so much is not given any attention. In the "formatting" settings in "preferences' you can set this, but when creating a new note it is ignored. Really Evernote, you do great things, but how hard can this be?? Hey guys, please don't second this request – press that vote button on the upper left hand corner of the posting! Looking for this feature as well. Upvoted. I am a writer - fiction / non-fiction / blog. I use Evernote PREMIUM on Mac desktop, Firefox browser, iPad, & iPhone. I want to maximize my Evernote usage by creating folders of drafts and notes to aid in composing my novels (in addition to multiple research clippings). HOWEVER, I cannot use a program with a white background for any sustained period of time (migraine triggers). Evernote's current default WHITE screen prevents me from being able to use this program as I would like. 1- Choose a default 'composition mode' background color from the color picker. 2- Choose a default 'composition mode' text color from the color picker. 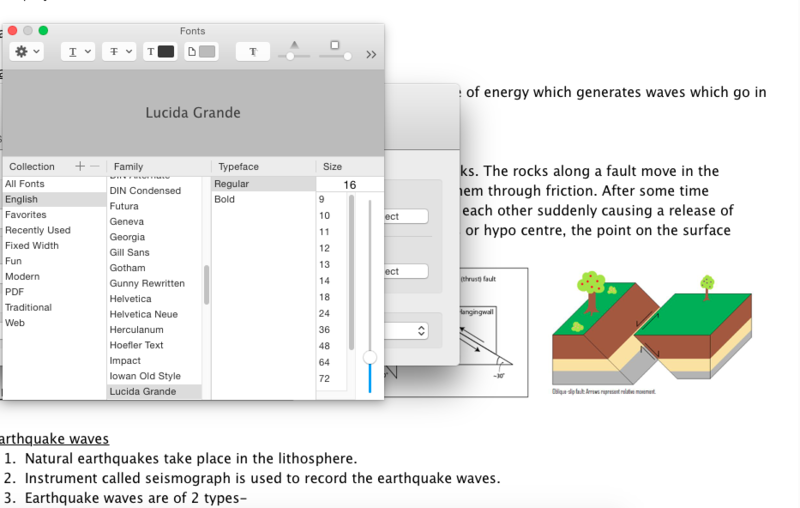 3- Designate a 'composition mode' font choice that does not affect fonts of clipped articles or documents. 4- Designate a 'composition mode' font size (that is different from default print size) for view and compose actions. 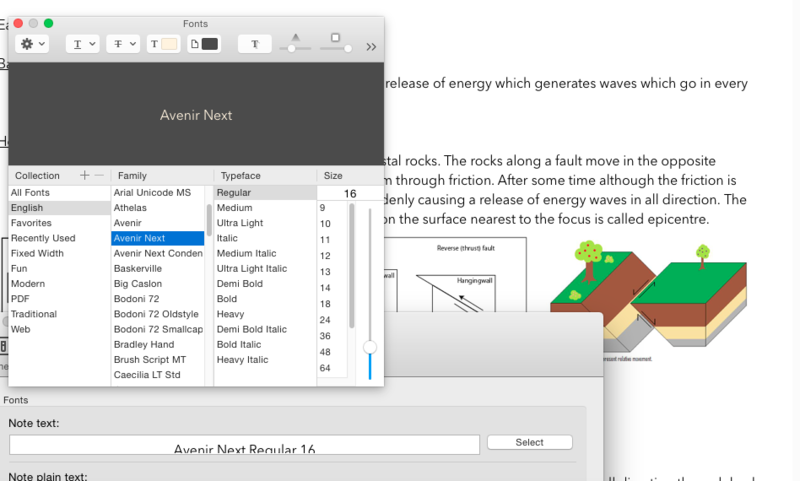 4b- And/OR designate a screen view that allows a percentage magnification of active notes. ** - Have a choice of skins for the app as a whole - particularly when using non-web desktop version. Example programs are Scrivener; Gmail. I'm sure there are others. IMO this is a very old topic that keeps on coming back : one can set the default font color, but it has no effect. How hard can it be to fix this? Request: Similar to being able to select a default font style and size, I want to create a default font color. Motivation: The bright white font in dark mode hurts my eyes. I prefer to grey it a couple notches. Bonus: Ability to set default font colors for html links and hyperlinks to other notes.